Based on Dorothy Sayers 1947 essay, Wilson's work from the early 1990's launched over 100 schools within just a few short years. 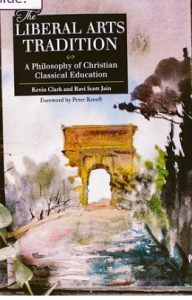 If you want to understand the basics of classical Christian education, why we need it, or what it is, this book has been informing parents for over two decades. Lewis's major 1947 treatise on education, this work asserts that the foundational function of education is the cultivation of moral character (virtue). The famous quote "We make men without chests and expect from them virtue and enterprise. We laugh at honor and are shocked to find traitors in our midst." is from this work. Written in 1948, near the time of both Lewis and Sayers works on education, Weaver's title is telling. We wonder why our society is traveling the road that it is? Follow the ideas that we have adopted. 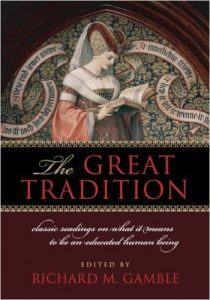 Recently written to explain the liberal arts tradition, this book from Classical Academic Press summarizes the need and importance of classical Christian education. Published in 1981, this treatise outlines the need for classical Christian education and describes why and how. It's more difficult to obtain (and more expensive) than other works on this list. It's prose is densely packed. But it is worth it, especially for those who want deep insight into how CCE should work. This book provides keen insight from a 19th century educator on some pretty basic educational techniques that will help any teacher improve. The first essay is on Paideia. Wilson covers other topics like vouchers, uniforms, reformed ties to classical education, logic, and college. Some of the topics are becoming dated, but the essay on Paideia is worth the price of the book. Richard Gamble has assembled an amazing collection of essays on education down through the millennium. And, they all point to classical Christian education and its importance. 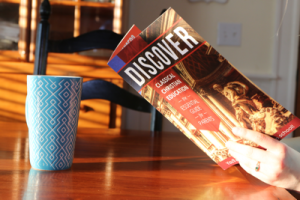 From ancient Greeks to early church fathers to 19th century thinkers, these writings reveal an important story in education that's rarely told today. Machen was a scholar at Princeton and led the conservative movement away from the more liberal branches of the Presbyterian church. We've included two editions here since it seems they are both limited in their Amazon availability. Machen argues in favor of a constitutional limitation on government in the area of education. These were the days when the Department of Education was being proposed, and Machen was vehemently opposed to it. He is in favor of as much competition between public and private schools as possible. He doesn't want public schools teaching morality at all, because they always teach a false morality, and fears the dumbing down of an entire nation in which uniformity is forced upon everyone. 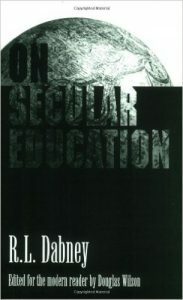 He saw with prophetic insight that State education could not help but be secularized since it was designed to please the people. As a result, he argued, public education would begin to teach its students not truth, but the values and virtues which were palatable to society at large. These books form a solid basis for classical Christian pedagogy and philosophy. These are works that represent the deep, deep roots that feed classical Christian schools. Modern educational theory seems a bit anemic after reading these. Augustine, a Christian through and through, argues that there is much value in the excellent liberal education that dominated the pagan Roman world (e.g. Logic, Rhetoric). However, he takes great pains to preserve the antithesis between belief and unbelief, and so he urges his vision for a classical education that is distinctly Christian. 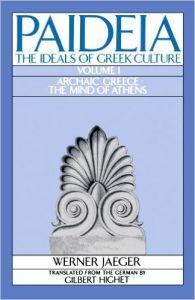 A bit of a heavy read, but a classic work that will probe the depths of Paideia. This concept is so foreign to our modern minds we need the depth. Cassiodorus flourished in the mid 500's, and was secretary to Ostrogothic King Theodoric. He founded a monastery, and his educational program, which he outlines in this work, would become the pattern for studious pursuits in monasteries throughout Christendom. It was his influence that turned monasteries into centers of learning. He pioneered the idea of the "Scriptorium," and monks thereafter devoted themselves to copying and preserving texts and libraries. To this we owe much of the classical heritage that we continue to enjoy today (including the text of the Bible), because medieval scribes copied and preserved the ancient manuscripts. 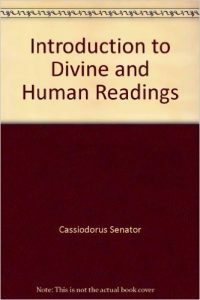 Cassiodorus believed that a certain program of education was important for this work. This program was what we know as the Seven Liberal Arts. Quintillian epitomizes Roman education, and his pedagogical ideas were generally followed in the Middle Ages. 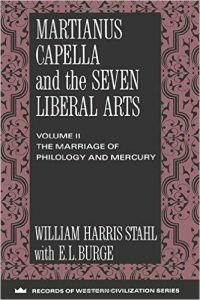 Capella describes the seven liberal arts in highly allegorical style, which made it appealing to later mediaevals despite the fact that Martianus wasn't a Christian. He wrote at the turn of the 5th century (contemporary of Augustine) in Carthage (near Augustine). 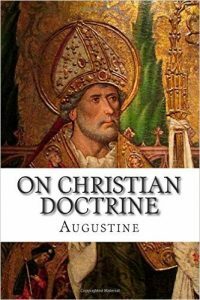 His book is no doubt influenced by the same culture of education in which Augustine was trained, and which the latter advanced in a Christianized form in his famous treatise, On Christian Doctrine.